Daesh are radicalising our brothers to fight in Syria. They are tearing families apart. Enough is enough. Sharing this film will show Daesh that their extremist views have no place in our community. No family should lose another loved one to such hatred. Not another child. Not another sister. That message gets lost by looking to shoot the messenger. Never mind that Quilliam is a policy think tank – it gets compared with a grass roots organisation. Maajid Nawaz is no pious muslim – well he is not looking to pass a religious test for being a religious leader or a prophet for muslims. There are too many peacocks adorning themselves with the garb of pseudo religious integrity as it is. Regarding the anonymous source “If you talk to people who went to school with him, they all say the same thing: they say it’s not about the mission or the cause, it’s about the man. I don’t think Maajid believes anything. I think he’s basically a man who says: what is my cause and what is going to get me the most attention, the most publicity?” I have heard a variation of that before spoken directly to me. In short, I do not think this was made up by the journalist. It does though beg the question – why not speak to the people that went to school with him? I have regarding college – and I encouraged them to create their own blog post to talk about it. The answer I suspect, is because there is no relevance to his schoolboy days in heading a think tank in his 30s. What is relevant, that Maajid Nawaz changed his conviction on religious political extremism. Wanted to make amends for the torture, and death, that the ideology inspired to happen in its name. One that he may have added to. If you read “Radical” that comes over – it is not an easy thing to live with knowing that your words and actions inspired others to do terrible things, and may have led to their own torture and death. 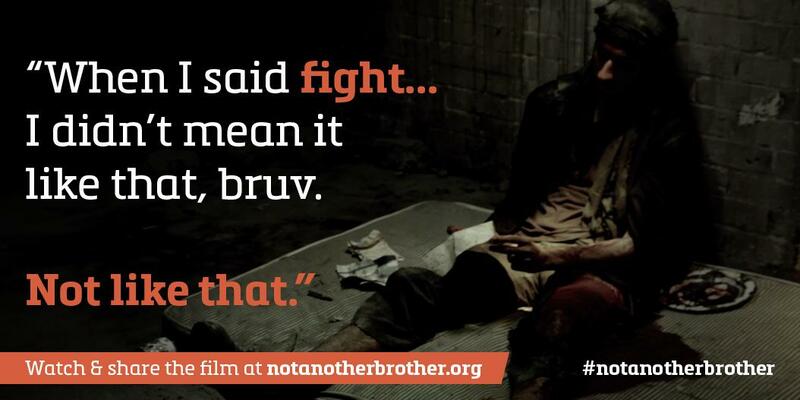 Which brings us to that #notanotherbrother video that captures both that and the remorse that follows. If you want to know the motivation behind such videos, read “Radical.” Rather than a cheap profile by someone who stiffs the drinks bill to the person better placed than most to talk about how Islamist extremism works.